The twist is embossing. I love embossing. I don't know why I don't do it more often. That's not true. I know exactly why I don't do it more often. I was convinced to buy the wrong die cutting machine and that's all I have to say about that. So anyway, I used a dot embossing folder and for the life of me I cannot remember who makes it. It's either a The Paper Studio from Hobby Lobby or a Darice folder I purchased at Consumer Crafts. Speaking of which, aren't they the most awful place to shop!?! They're always enticing me to come shop with free shipping! :-\ I probably should not have signed up for the emails! ;) lol I used a Fiskars border punch on the white card stock. There's a strip of printed green vellum running across the center that I'm kinda wishing I'd used a lighter green for the background so it would show up. It's really pretty, all swirly with different shades of green and shamrocks floating around. I looked high and low for a swirl I could fit into the corner but everything I had covered the image and I didn't want to do that! :-\ So I improvised and added a cluster of shamrocks I bought from the $1 bins at Joann's Crafts and Fabrics. Of course, I colored the image with Copic markers. :) I used an image from a stamp set called Spring Baskets from From the Hearts Stamps. Great card Ema! 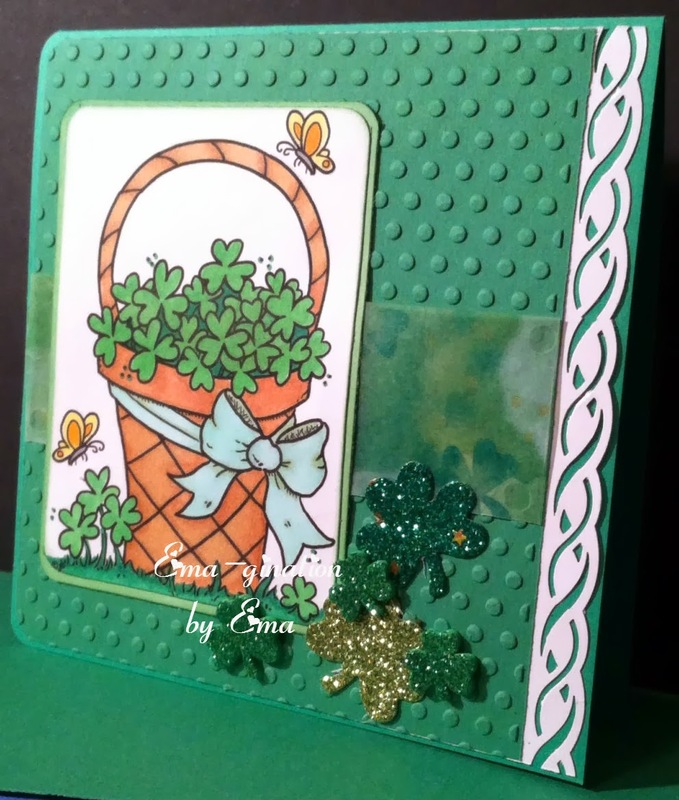 Love the sparkly shamrocks! 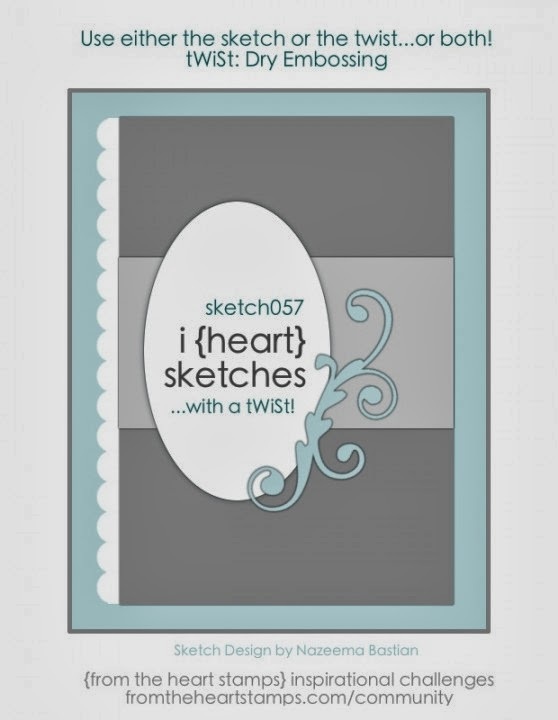 Thanks for playing along with us at From The Heart Stamps using both the sketch and the tWiSt!